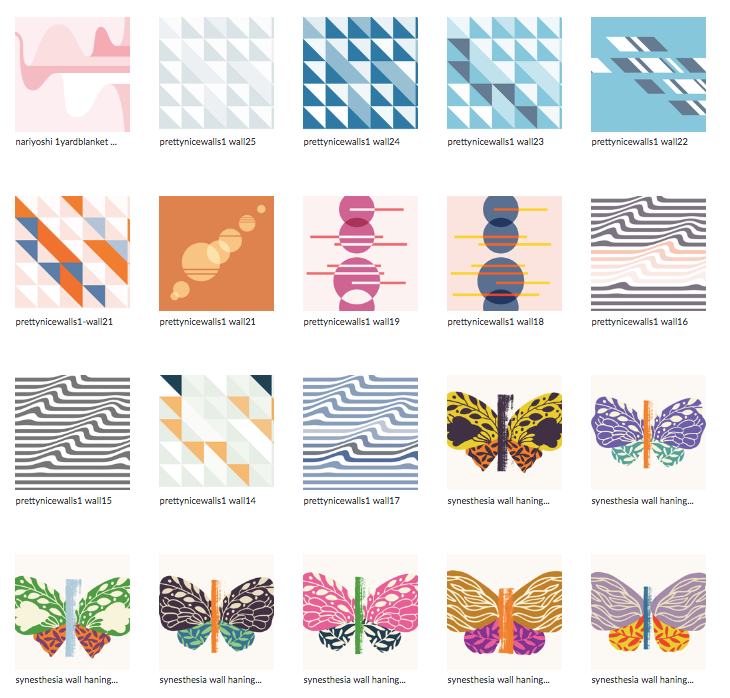 Inspired by the beautiful, geometric shapes in modern quilts, Spoonflower designer Esther Nariyoshi dreamt up a collection of designs to help her recreate these eye-catching quilts without having to spend hours in the sewing room piecing together quilt blocks. 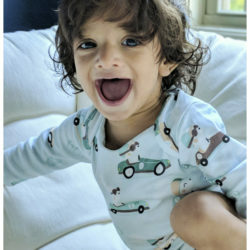 After all, when you have two little ones under the age of four, squeezing in time to sew can feel almost impossible. 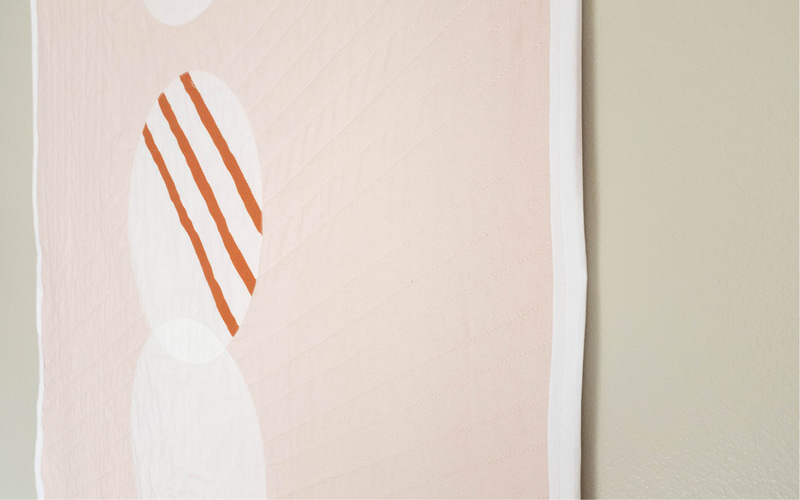 “It’s really hard to actually finish a quilt and I have always been a big fan of Spoonflower, so the idea of printing a ‘quilty looking’ design came to mind.” With the help of Esther’s Pretty Nice Walls collection featuring 40+ one-yard designs, you too can create a modern quilt, perfect for a last-minute baby shower gift or wall hanging. Esther: Like many of you, crafting is my love language. I enjoy giving handmade gifts uniquely made for each person. I also like the creativity that is in a breathtaking modern quilt. There is something special about combining geometric shapes with modern colors in endless ways that makes my little heart dance. I am also not much of a planner. I often find myself scrambling to put fabric pieces together (literally!) a few days before a baby shower. The next thing I know, I’m settling for a store-bought gift on my way to the shower because I’ve run out of time. This was the motivation for my collection of one-yard cheater quilts, Pretty Nice Walls. The collection consists of “quilty looking“ designs with a modern color palette. 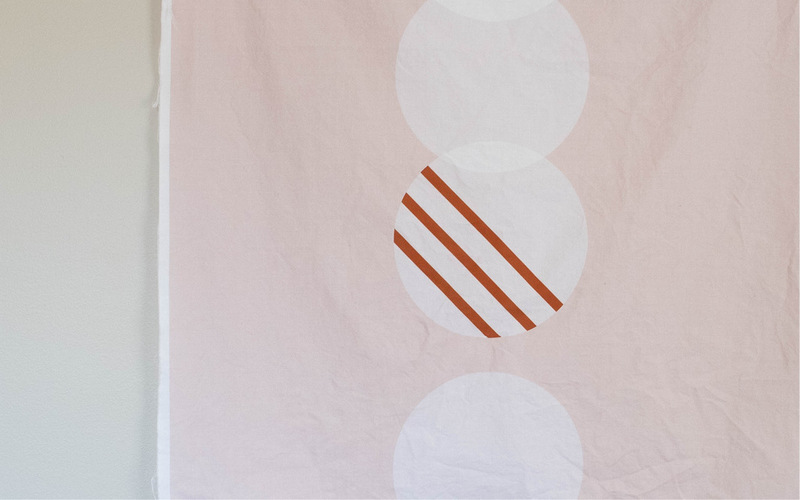 The process of making this quilt is fairly simple and beginner-friendly, and I save hours of sewing without compromising the aesthetic. The finished results make for stunning wall hangings or baby quilts. With the holiday season upon us, they’re a great gift for everyone on your list. I didn’t use a rotary cutter or even a cutting mat because it’s so easy to just cut around the printed area. The magic of digital printing! 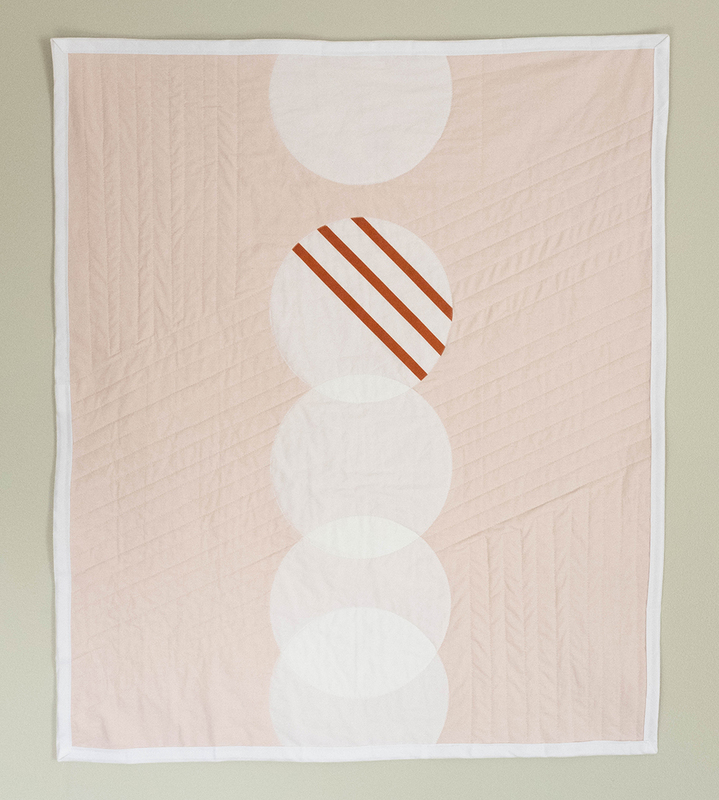 The finished quilt is fairly small (42″ x 36″) so either basting spray or pin basting will work! Step 1. Choose a thread color. 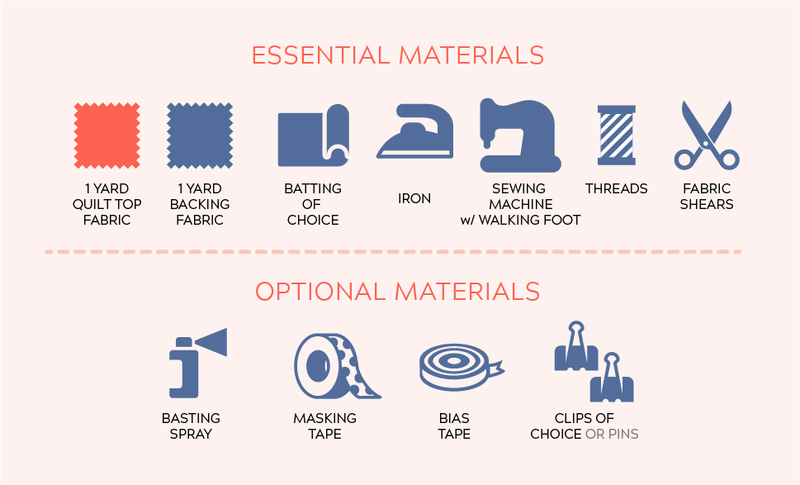 When choosing your thread, think of how the colors of the binding, backing, quilt top and threads will play off of each other. 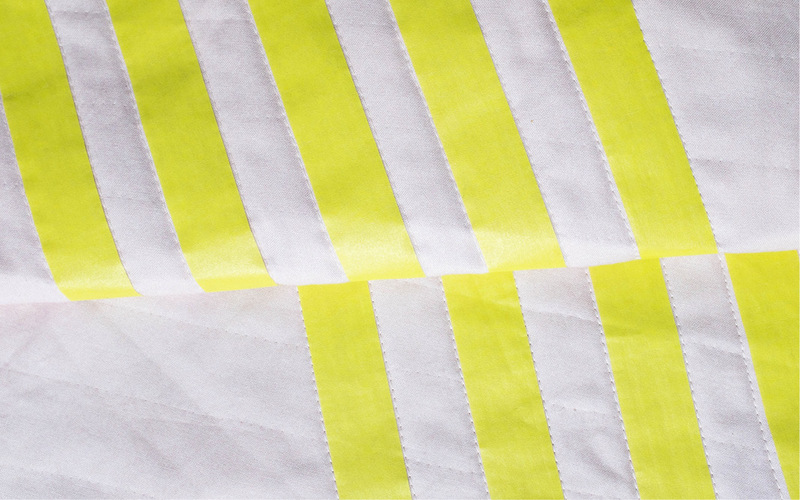 I chose a thread color that is close to the base color or my fabric, but contrasting colors could add a fun pop of color. You may also want to try hand-stitching the binding with embroidery floss for a unique personal touch. When I can’t decide on colors, I like to tape the top of the fabric to a blank wall and stare at it for a few days. It also offers an opportunity for conversations with people around it. I like to ask my three year old about her opinions on color choices; it’s so much fun to bring her into the process. Iron out any wrinkles of the backing fabric and quilt top. Next, spray baste the wrong side of the quilt top and backing according to the manufacturer’s instructions. Make a quilt sandwich with your batting: quilt backing, batting, quilt top. Pin basting also works great for this project if you prefer this basting method. Step 3. Cut the excess fabric. This may be entirely shocking to you but I was able to make this quilt without the help of a cutting mat! With all three layers sandwiched together, I just cut around the printed area with a pair of fabric shears. I precut the layers because they had been basted together already in the previous step and I didn’t expect a lot of shifting. If you prefer, you can cut the excess fabric off after it’s been quilted. Step 4. Create a quilting guide. I used bright, contrasting masking tape to create a quilting guide. 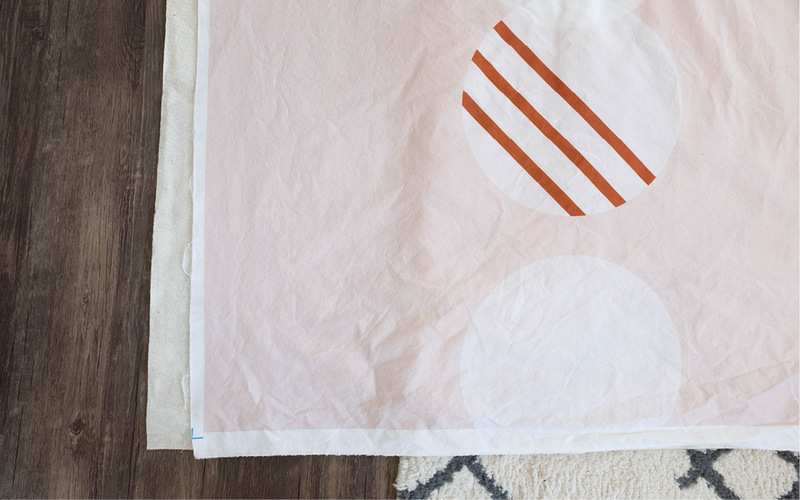 When it comes to quilting this blanket, there are really no rules! If you like free-handing wavy lines, go for it. 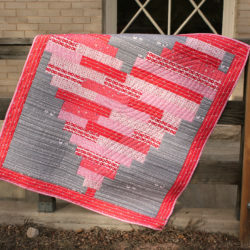 If you want to quilt along the overlapping circles, there is a sneaky way to do it (as shown below) to avoid puckering. 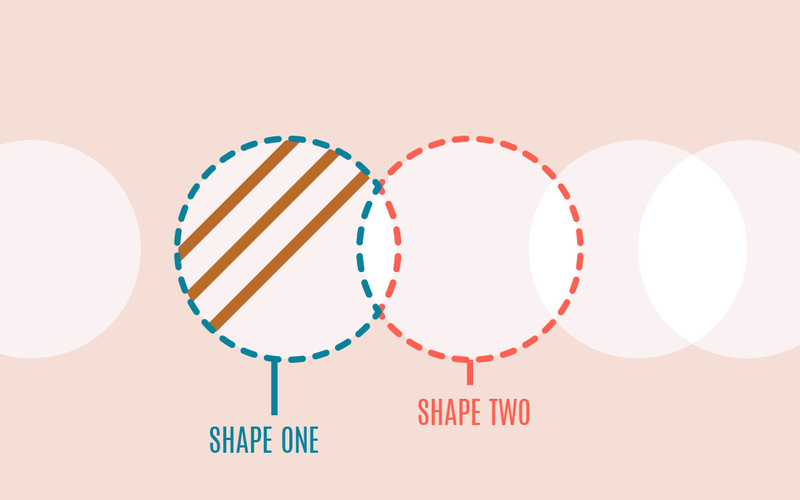 For shape one, stitch around the circle until you get to the point where the circles overlap. With your needle still in the fabric, raise your presser foot and rotate your fabric so you can stitch around the overlapping section. 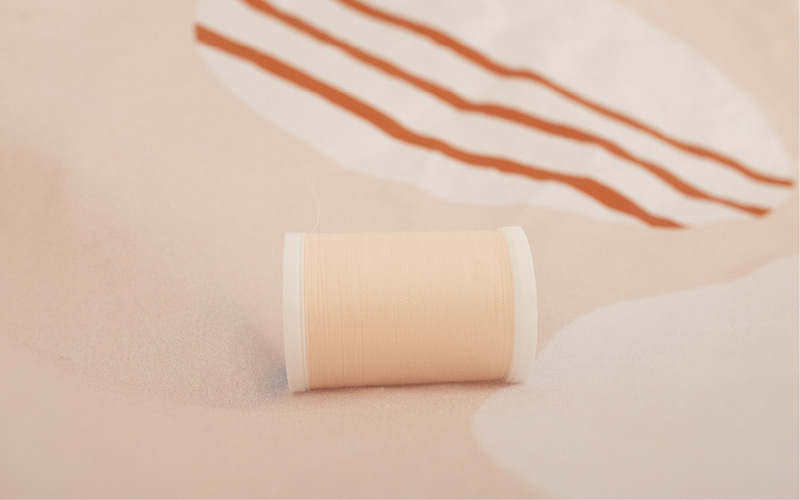 Once you get to the other end, raise your presser foot (the needle should still be in your fabric) pivot your fabric and continue sewing until you’ve completed the first circle. Don’t ask how I found out this trick! 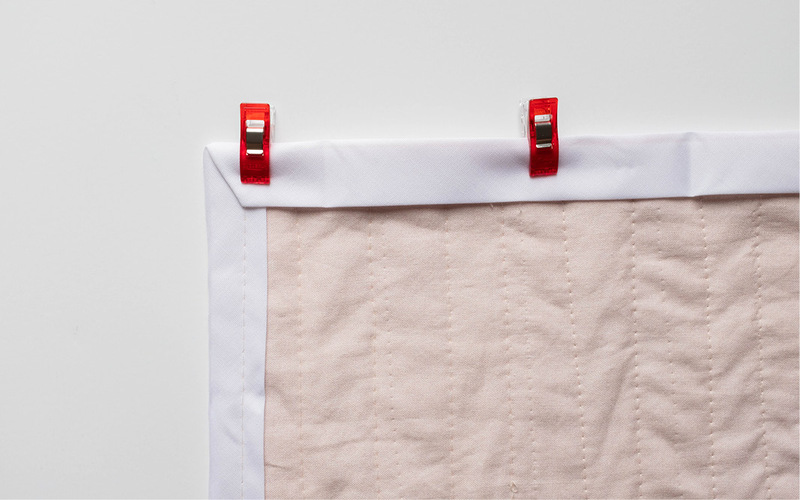 There are many helpful and creative ways to bind a quilt. This time around, I just chose white bias tape from the craft store. It took me about 20 minutes to bind the entire quilt and I’m not an expert in binding at all. 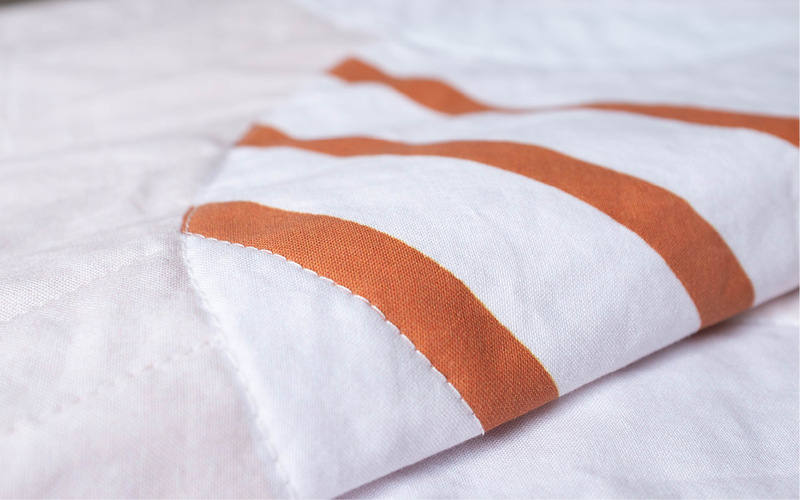 If you’re new to binding quilts, I think you’ll find this tutorial very helpful. Step 6. Admire your quilt! That’s it! I created this particular design for a wall hanging but my daughter fell in love with it. I am so happy to see her snuggle in it. Now on to making a hundred more of these! 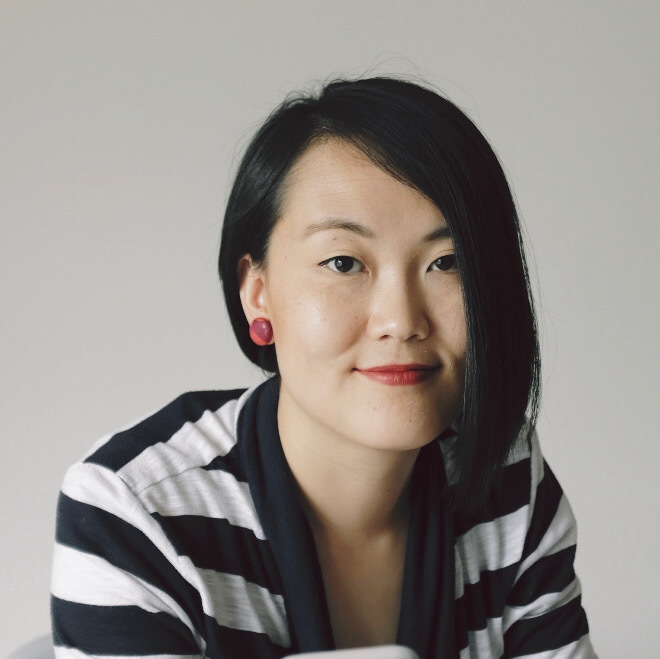 Esther Nariyoshi worked as an art director and creative director before designing surface patterns full time. 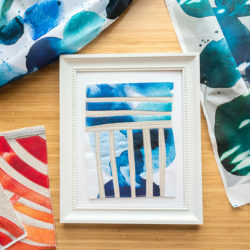 Her work has been featured in Print & Pattern Blog, and Uppercase Magazine. 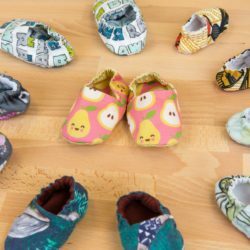 She is a lover of all things crafty and you can see her latest makes on her Instagram feed @esther.nariyoshi and her Spoonflower shop.